When I took this photo, I knew immediately that it would be a favorite. We were moving from one side of the tracks to the other. 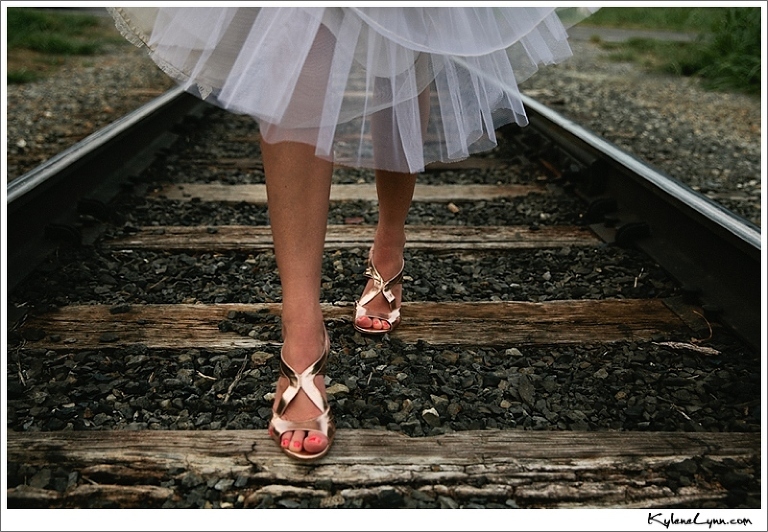 This was how the bride stepped, carefully across the worn railroad tracks, with her dress lifted high to avoid the dirt below, tulle exposed.